Megan grew up in and around Rochester, NY. She got her start singing in the church choir, and at age 7, insisted that she begin violin lessons when her piano teacher retired to become a librarian. Thus began a long obsession with acquiring new musical instruments including, but not limited to lap dulcimer, French horn, hammered dulcimer, accordion, trumpet, viola, guitar, Celtic harp, bass, mandolin, and most recently, trumpet and ukelele. Megan had the good fortune of being accepted at Rochester’s School of the Arts for the last two years of high school, and upon graduation, attended University of Michigan School of Music in Ann Arbor. After a year at Michigan, she transferred to Eastman School of Music in Rochester where she finished her Bachelor of Music in Voice Performance. After graduation, and a summer season with the Ohio Light Opera, she moved to New York City to pursue a career on the stage. Since then, she has performed at Surflight Theatre, Naples Dinner Theatre, Downtown Cabaret, Ogunquit Playhouse, Merry Go Round Playhouse, Mt. Gretna Playhouse, in NYC at Theatre 1010, P.S.122, the Connelly Theatre, City Center, in London, at the Edinburgh Fringe and has toured North America, South Korea and Japan. 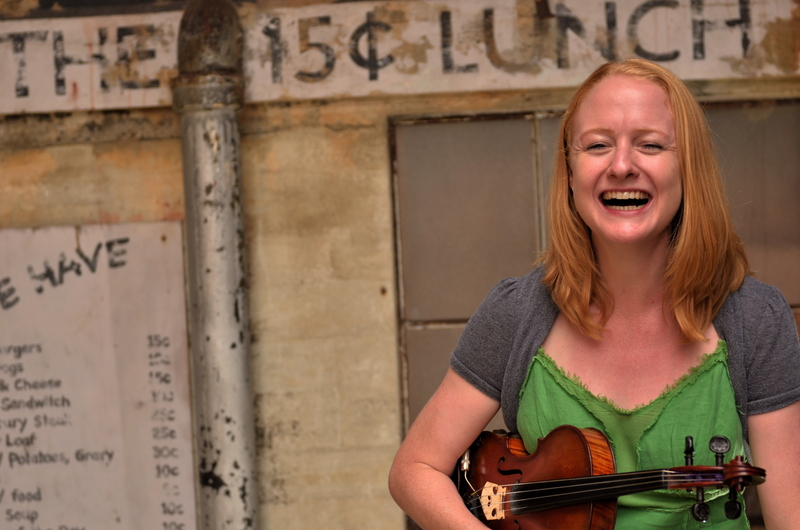 Megan has been lucky to be a part of Woody Sez, the words and music of Woody Guthrie, beginning in 2009 at the Lyric Theatre in Oklahoma, and most recently as the first theatrical production for the ArtsGarage in Delray Beach, Florida. For two years, she toured North America and Japan as Paulette in the National Theatre of Great Britain’s production of War Horse, and most recently she was seen Off-Broadway as Beulah in John Doyle’s production of Allegro at Classic Stage Company. Megan wrote a show called The Girl in theBand which she performed in the 2012 and 2015 Emerging Artists Theatre’s One Woman Standing Festival, and she recently performed at GeVa Theatre in Rochester in the World Premiere of The Road to Where, written by and starring Cass Morgan. Megan recently finished performing in the Broadway National Tour of A Gentleman’s Guide to Love and Murder as the Tour Guide, Woody Sez at Stages Repertory Theater, and The Irish Repertory Theatre in NYC, The Dead 1904 in NYC, and is currently performing in The Other Josh Cohen at The Geva Theatre. © 2019 Megan Loomis. Theme by XtremelySocial.